While national maternal mortality rates have steadily risen over the past 20 years, recent studies report that approximately 50% of maternal death is preventable. This is a wake-up call that culture change is necessary. The United States has the highest maternal mortality rate of any high-resource country, and it is the only country other than Afghanistan and Sudan where the rate is rising. 17 women per 100,000 births will die in the U.S. compared with 12 per 100,000 in other developed countries. 700 to 900 women per year in the U.S. will die from a pregnancy-related complication. For every death reported, there are 100 near-misses that result in injury, infection or disease process (65,000+ near-misses annually have been reported). Maternal suicide rates are increasing, with approximately 20% of pregnancies experiencing depression either during or after pregnancy. Women of color are 4 times more likely to die from a pregnancy-related problem than white women, and they have a two-fold greater risk of morbidity. Continued advocacy for state and federal legislation to establish and support state-based maternal mortality reviews. Creating evidence-based practice recommendations to solve the critical problem of cardiac contributions to maternal morbidity and mortality. Cardiovascular disease is responsible for 1 in 4 maternal deaths and is the leading cause of maternal death. The challenge to reduce these statistics, save lives, and drive quality improvement will require consideration of multiple strategies. Below are five strategies we can collectively implement to facilitate outcome improvement. The postpartum period was traditionally defined as starting after the delivery of baby and placenta and concluding with uterine involution; this typically took 6 to 8 weeks to return to pre-pregnancy baseline physiology. However, national organizations now recommend that pregnancy be viewed as an ongoing health continuum with pre-pregnancy, inter-pregnancy and postpartum periods. Pre-pregnancy baseline physiology does not return in a linear fashion. It can take up to one year for a woman to transition back to her pre-pregnancy physiology. ACOG now places emphasis on a “fourth trimester,” highlighting it as a time of both mental and physical vulnerability that requires close scrutiny. ACOG’s Committee Opinion #736, Optimizing Postpartum Care emphasizes the need for ongoing care. ACOG recommends that the initial postpartum contact should happen within three weeks of delivery. It also emphasizes the importance of a comprehensive healthcare visit no later than 12 weeks postpartum, with ongoing follow-up at an annual well-woman exam. Comprehensive focus with consideration of medical conditions, behavioral health, and a comprehensive reproductive life plan are all discussed as part of ongoing continuum of healthcare. Asking this question is critical to risk awareness as well as accurate and timely diagnosis; in addition, it has the potential to significantly decrease mortality. Healthcare staff should add this question to their safety practices and make it standard in the admission profile documentation for any woman of childbearing age seeking healthcare. Many pregnancy-related complications can mimic other disease processes. Dire consequences can result if a woman doesn’t report that she's had a baby in the past year or if the healthcare provider fails to ask this question due to limited obstetric scope. 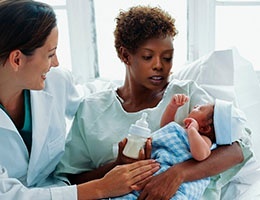 It is crucial to educate patients at discharge on the importance of informing all healthcare providers they seek treatment from that they have given birth within the last year. This key piece of information is crucial to self-protection and allows the practitioner to provide the best and safest care possible. Additionally, we are witnessing postpartum vulnerability with rising maternal suicide rates. The CDC estimates that up to 20% of women will experience depression either during or after pregnancy. Untreated depression increases the risk of maternal morbidity and mortality and can also lead to a multitude of fetal/infant issues. In its extreme form, depressive psychosis leads to infanticide and maternal suicide. Though underreported, maternal suicide within one year of birth has a higher rate of causing maternal mortality than maternal HTN or postpartum Hemorrhage combined according to the CDC and the Journal of Obstetrics and Gynecology. Maternal mental health deserves our attention; ACOG is addressing this issue and bringing light to its importance with releases such as Committee Opinion Bulletin #630 “Recommendations for Perinatal Depressive Screening during Pregnancy,”; and The Patient Safety Council’s safety bundle for maternal mental Health, both of which recognize depression screening and evaluation as crucial components of postpartum evaluation. The NIH also has prioritized a maternal mental health initiative. Every institution needs to instill a strong belief that safety is the highest priority. Medical systems are hyper-complex and filled with potential for human error. Reluctance to simplify or standardize undermines safety. One of the greatest enemies of quality lies within clinical variations. Reduction of human error is plausible when the right set of circumstances is in place to promote consistency of practice. 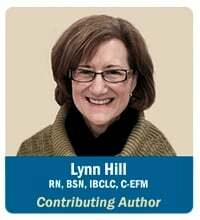 Championing standardization and creating checklists within your institution can only lead to simplification, habituation and reduction of error. A culture of safety cultivates resilience and embraces learning opportunities from the near-misses. It replaces a “shame and blame” culture with opportunities to implement best practices and correct system deficiencies. The goal should be error reduction and promotion of safety. All team members need to be valued for their input and praised for reporting safety issues. Trust, transparency and teamwork should be the primary focus, with the common goal of doing the right thing the very first time. While collaboration and policymaking are crucial to our efforts, we must also empower women to advocate for their own well-being. Empowering women to speak out and take personal responsibility for their own health comes with education and encouragement from the healthcare community. Women must know how to be proactive regarding their own health and safety and know that it’s okay to do so. C = I am concerned. U = I am uncomfortable. S = This is a safety issue. The Alliance on Innovation of Maternal Health (AIM) has created patient safety bundles that need to be embedded into hospital culture. The goal of AIM is to use the safety bundles in a proactive approach to reduce morbidity and mortality. The 33 states that have adopted the AIM bundles have seen improved outcomes. California adopted safety bundles in 2006; they saw their maternal death rate drop by 50% by 2013. The Patient Safety Council has endorsed the use of the bundles as critical to quality patient care and is encouraging adoption of the safety bundles within all 50 states. Healthcare needs to be equitable, effective, timely, efficient and fair, with patient- and family-centered focus. Awareness to disparities is critical if we are to address quality improvement. JOGNN’s May 2018 Vol 47 # 3, “Reduction of Racial and Ethnic Disparities; A Conceptual Framework and Maternal Safety Consensus Bundle,” authored by expert panel Elizabeth Howell et al., provides insightful information regarding racial and ethnic disparities and addresses a patient safety bundle specific to these etiologies. Actionable ideas that are modifiable are identified and resources presented. The premise of this safety bundle is similar to other safety council bundles, with focus on readiness, recognition and prevention, response, and reporting. While disparity is rooted in multifactorial origins, there needs to be resolution, goals and directed-focus on important considerations regarding quality improvement. Access to high-quality care remains problematic and deserves remedy, as outcomes will not improve until this is plausible. The maternal mortality crisis has shown us our fallacies as a healthcare system. Let’s now take this opportunity to capture our weaknesses, identify greatly needed change, and work to move forward to positively impact maternal outcomes.